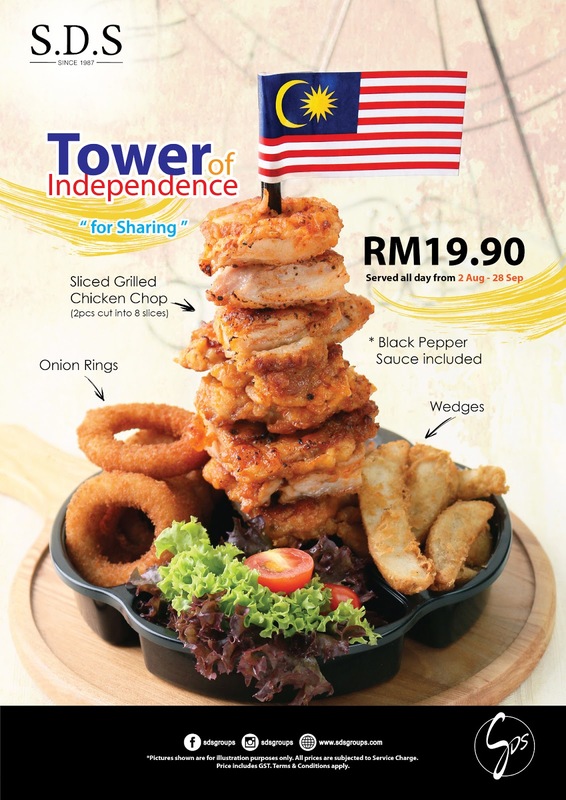 SDS has introduced special meal, “Tower of Independence” for limited period during celebration of Independence Day, aims to arouse the awareness of unity among Malaysians. “Tower of Independence” is a special meal piled up by sliced grilled chicken chop, with onion rings and wedges placed at the bottom of “Tower”. It shows the unity of various elements in one dish, and signifies the unity of multi-racial in Malaysia. Malaysia achieved independence in year 1957 with the strength of unity among multi-racial people. Though coming from different background, cultures, and religions, Malaysians live in peace and harmony on this land throughout the years. On account of the strong united bond among people, this country continues growing towards success. “Tower of Independence” is served all day at SDS from 2nd August to 28th September 2017. A Facebook photo contest, “Together, We Unite” has also been launched by SDS with the introduction of “Tower of Independence”. Customers are encouraged to take photo with “Tower of Independence”, and upload to their Facebook timeline before 3rd September 2017, in order to participate in the contest. Attractive prizes worth RM200 are prepared for each winner. 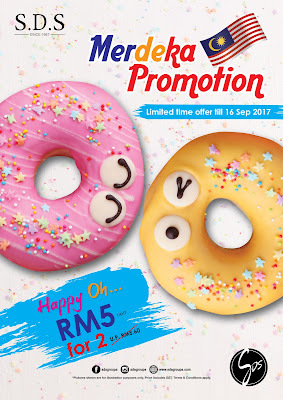 Apart from that, SDS has introduced Merdeka doughnut for limited period till Malaysia Day, named “Happy Oh”. 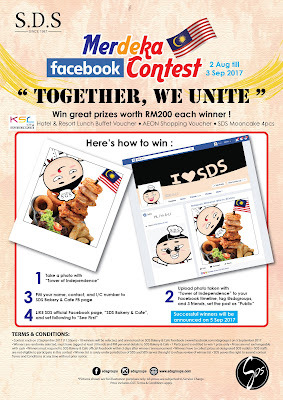 It is created in adorable expressions which signify the happy emotion of Malaysians. Besides, SDS “Nasi Lemak 3.0” bun is now sold at promotional price on every Wednesday and Thursday from 2nd August to 28th September 2017. 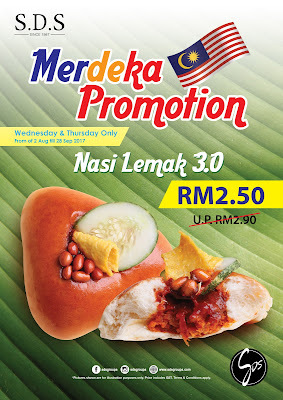 Sambal chili, ikan bilis, cucumber, and peanuts, are included in this delectable bun which is very much alike with the popular Malaysia delicacy, nasi lemak. 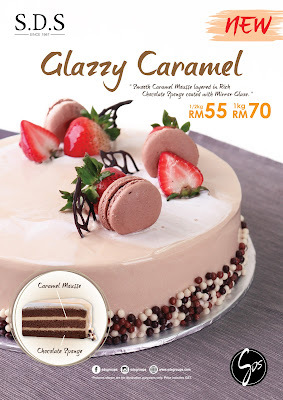 Other than that, SDS has introduced new cake for Merdeka celebration and gathering, namely Glazzy Caramel. Served in 0.5KG and 1KG, Glazzy Caramel made from smooth caramel mousse layered in rich chocolate sponge coated with mirror glazed. For further information on SDS latest products, kindly log on to SDS official website at www.sdsgroups.com. 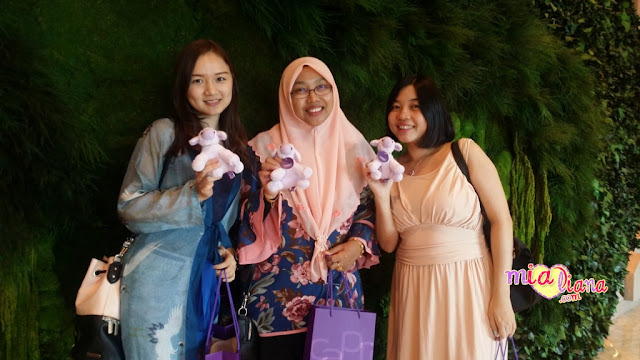 SDS outlets in Johor are located at AEON Tebrau City (Fanpekka Cafe), Johor Jaya, JB City Square, AEON Kulaijaya, Taman Perling, Taman Universiti, Kota Tinggi, KSL City Mall, AEON Bukit Indah, Larkin Sentral, Plaza Pelangi, S’Mart, Giant Plentong, Masai, Ulu Tiram, Kota Raya, Kangkar Pulai, Setia Indah, Kota Masai, and SDS Bakery at La Boheme AEON Tebrau City, AEON Kulaijaya, AEON Permas Jaya, AEON Bukit Indah, and AEON Taman Universiti. SDS new outlet is set to launched at AEON Mall Bandar Dato Onn on 7th September, 2017.